There, on the screen, was a biathlon competition . On TV. In a bar. 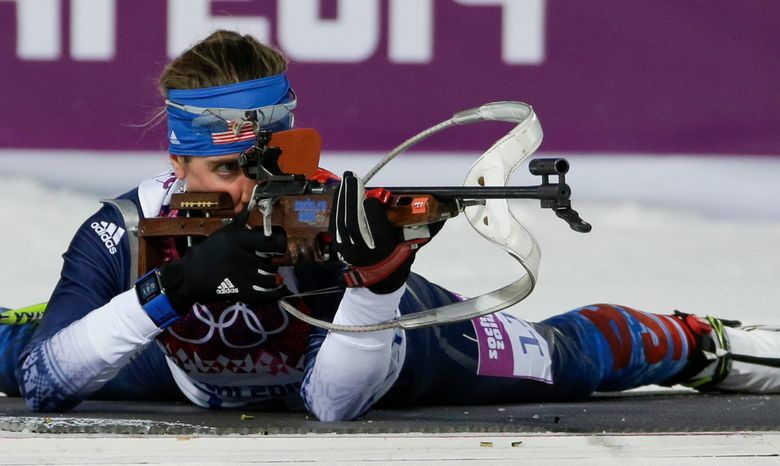 In the U.S.
One day soon, Cobb envisions something even greater: The U.S. leading the charge in a sport that combines cross-country skiing and rifle shooting. 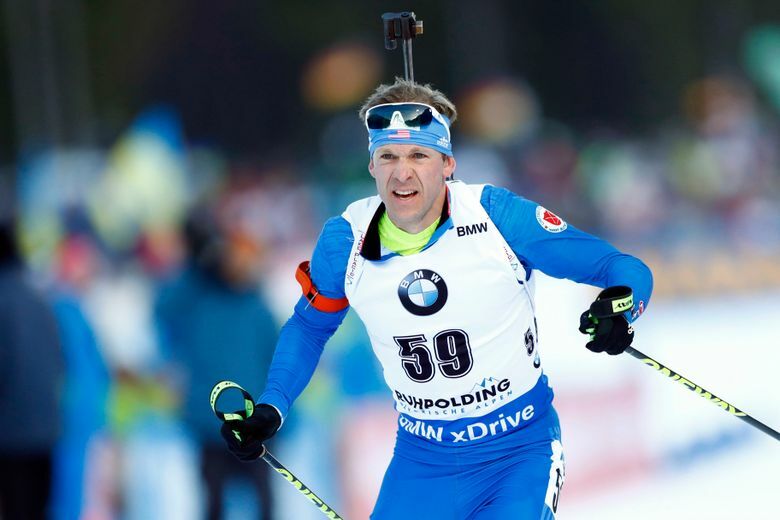 To achieve that, Cobb, who’s been with the program since 1989, and his staff initiated a blueprint aimed at capturing the country’s first Olympic biathlon medal. The model includes bringing in coaches from Europe, contracting with a machine shop to enhance glide performance on skis and partnering with a university professor to analyze shooting mechanics. In a sport long dominated by nations such as Norway, Germany and Russia, the Americans remain an “economic underdog,” Cobb said, with an annual budget of about $2.6 million. That’s fractions of what their counterparts spend. So they need creative ways to close the gap. Like working with a machine shop technician in Austria, who’s experimenting with different sharpening blades to make unique grooves in the base of the skis. The goal is to reduce surface friction for better glide. So far, they’ve tried out 150 different metal blades. Anything to help the athletes glide faster while skiing. In addition, they’ve been working with Gerold Sattlecker from the University of Salzburg to analyze shooting mechanics. They’ve developed a remote trigger pressure sensor that allows them to see how much pressure an athlete is putting on the trigger. Anything to help them shoot straighter at the targets under pressure. The organization began to revamp the business model in early 2016. It was a way to spring forward after a 2014 Sochi Games in which Susan Dunklee came within one missed shot of capturing an elusive medal. The team had breakout performances at the 2017 world championships, with Lowell Bailey earning gold in the 20-kilometer individual race and Dunklee taking silver in the women’s mass start. It was proof that things were trending in the right direction. Then, at the Winter Olympics in Pyeongchang , South Korea last winter, something that couldn’t be predicted — sickness. Dunklee got the flu that week. Bailey, who’s now retired, fought an illness leading into the Olympics. —Armin Auchentaller, who’s in his second go-around with the squad as he takes over the women’s squad after leading the Swiss team. —Michael Greis of Germany, who’s overlooking the men’s side following a career that saw him capture three gold medals at the 2006 Turin Games. —Retired American standout Tim Burke, whose new role is athlete development manager. The New York native competed at four Winter Olympics and earned a silver medal at the 2013 world championships. To boost the team’s profile, they’ve hired a marketing firm based in Austria. They’ve added sponsors in Europe (Maloja , a small German clothing brand) and in the U.S. (Ariens , a Wisconsin-based company that manufactures lawn mowers and snow blowers and is expanding into Europe). Europe is simply where the dollars are and the viewers reside. Steadily, that’s changing. 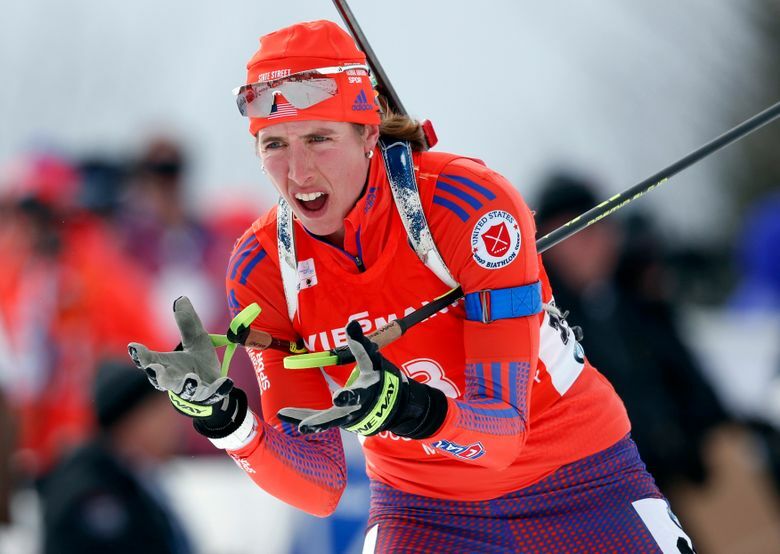 This season, there will be about 85 hours of original content on NBC’s stable of networks, which is how Cobb was able to watch a World Cup biathlon race in a bar in Utah. And last month, a biathlon World Cup event was staged on home snow for the first time in three years. The site was Soldier Hollow, where the biathlon events were contested at the 2002 Salt Lake City Games. Food trucks were brought in — along with a petting zoo and mechanical bull — to create a festival-style atmosphere. “The crowds were tremendously impressive,” Dunklee said. They all do their part, even filling multiple roles. Take Bernd Eisenbichler, one of the program’s visionaries who has gone from wax technician, to high performance director, to chief of sport over the last two decades. He still helps out with making sure the skis are finely tuned.